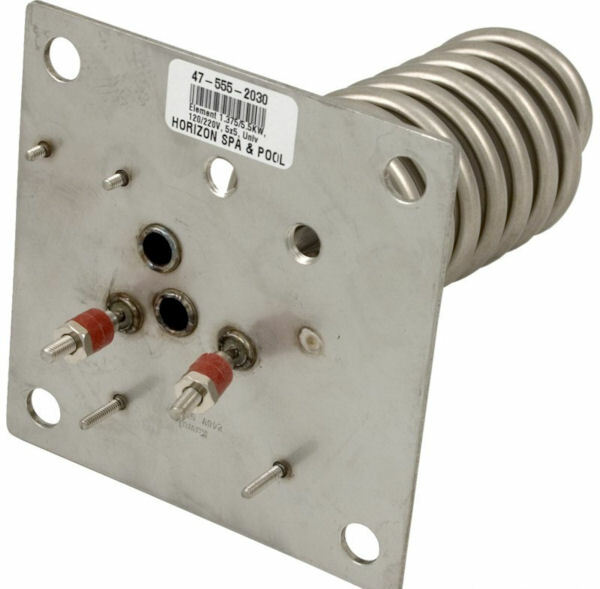 The 6-5-2 is a very common element that features two thermowells and studs for a freeze sensor and a disc-style Hi-Limit. This part can be used as a 5.5KW 240 Volt or 1.375KW 120 Volt Heater, and includes an o-ring for plastic heater manifolds. For Stainless manifolds,please order the gasket kit below.